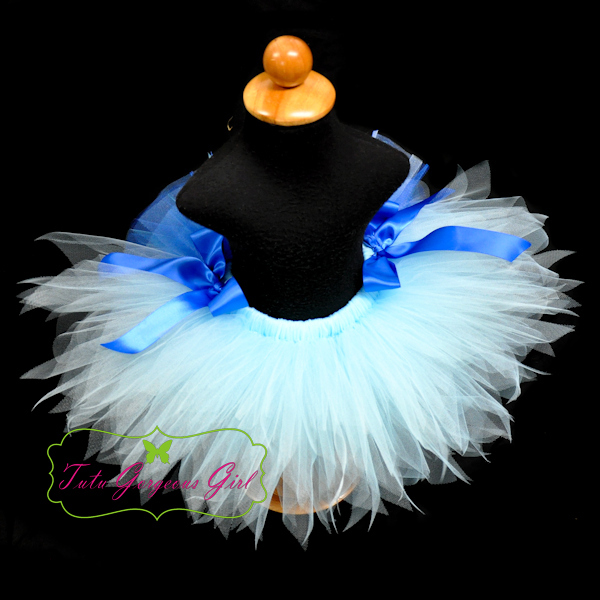 Blue macaw parrot Tutu, Halloween parrot tutu. 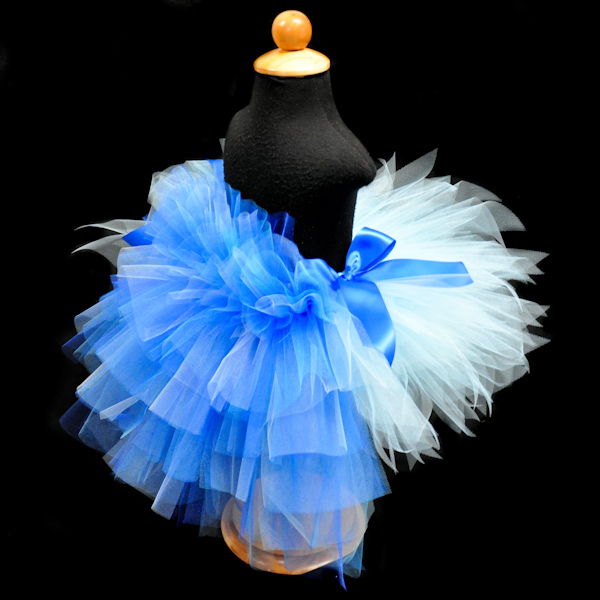 The blue macaw bustle tutu features a darker blue bustle, or tail, and a light blue front tutu that mimics Jewel's belly. 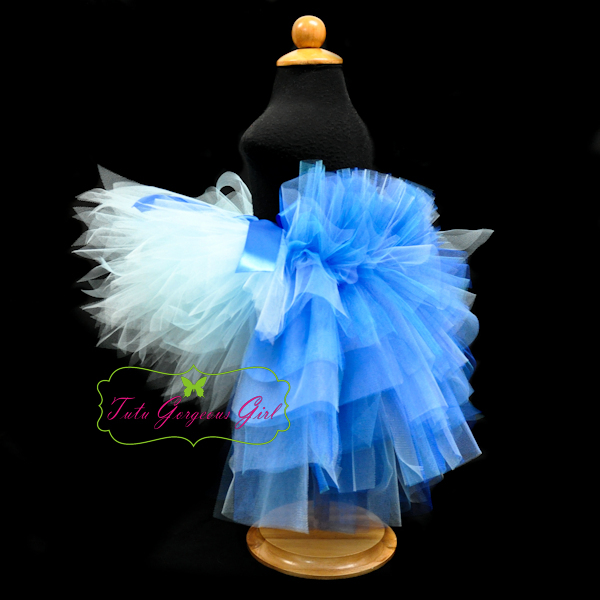 This tutu is a wonderful addition to a Halloween Jewel Rio or blue macaw costume. Bustle tutu includes two satin bows tied on either side of the bustle.